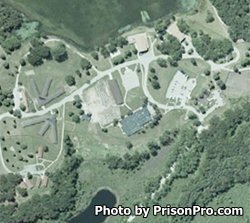 Special Alternative Incarceration Facility is located in Chelsea Michigan, part of Washtenaw County. This facility has a maximum capacity of 184 adult male offenders. This facility was originally a 90 day boot camp style program aimed at probationers. For inmates to be eligible for this program they must not be convicted of an assaultive crime. Once inmates complete the program they must work or attend school for a minimum of 30 hours per week. They will be continually monitored and drug tested to ensure compliance with the program. We currently do not have visiting information for this facility. Special Alternative Incarceration Facility houses inmates who have been sentenced to a short term, which may be why inmates are not allowed visits. If you know more information please leave a comment below.